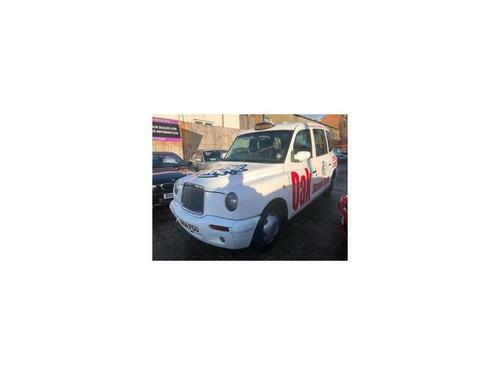 Finished in the shade of Black, this TX4 features a 2500cc Diesel motor with Automatic transmission. It's currently available to buy at £35,400 or alternatively you could also buy on finance with achievable repayments beginning from £816.69 monthly. This second hand car coming in in Black could be yours on credit. Repayments start out at just £111.87 pm. Book an appointment for a test drive with part of the sales department to find out what more this Lti TXII on offer. Seize the chance to purchase this [body] now priced at this dealer's great price of just £1,295. It comes in a [colour] finish, has got a [engine-size-ltr]l Diesel engine with Automatic transmission and clocked up 205683 miles. If you think this one could be the model that you are searching for, visit one of the advisers at Oak Street Cars in Norwich to arrange a test drive. If you'd prefer not to pay the total price all at once you could opt to buy on finance, just enquire to get further information about what finance packages are available, you might be able to pay as little as £50 per calendar month. Get an instalment plan that suits you.